I’m sorry, but this will be a very short review. I found it very hard to feel anything particular. 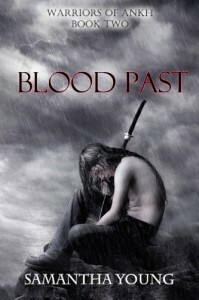 Not that it was a bad story, on the contrary, it’s a good sequel to Blood Will Tell. I sincerely enjoyed reading it. But that is all I can say about it. There was nothing that really stood out, good or bad alike. It’s just a good follow-up with a good story. It was a bit too standard. I had troubles with getting my heart into the story and it didn’t leave a lasting expression.. I did like however to delve deeper in the world of the Neith and to get to know what warriors against evil do daily. I love it when a writer not only creates a new race, but also gives them a history and purpose. A reason to be. And when he or she doesn’t forgot those minuscule details. It gives so much more depth to a story! 3 HEARTS. Although I liked the book, there was not a thing that stood out for me. Hence this very short review. It was too standard and I just couldn’t get myself to feel anything. It was interesting, though, to get more knowledge about the daily activities of a Neith and how the whole society works. Even the smallest were thought of.